Deciding for point-to-point (PtP) or point-to-multipoint (PtMP) technology is mostly a question of applications. Point-to-Point links based on microwave technology are typically more reliable and provide lowest latencies. Point-to-multipoint is much cheaper in planning, deploying, and in hardware. There are many special solutions and competeting technologies in the market. 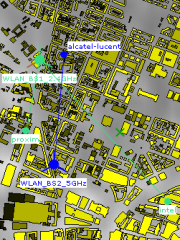 Nowadays PtP links in 60 GHz are becoming popular and are able to providing almost Gigabit connections at reasonable prices. To find the best suited technology and products needs a lot of experience and experts' know-how. Although WiMAX became less popular as expected in the beginning of this century it has an interesting range of applications. It is a reliable technology which can be run on licensed frequency spectrum - almost all over the world. Anyhow due to the lack of commercial success there is not much progress in available products and development. 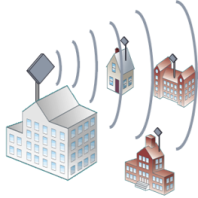 Today most last mile and PtMP networks are based on WLAN technology which is less well suited for this application but due to its huge success an enormous progress can be seen in technological development, prices and available clients. 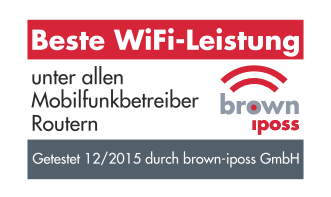 Brown-iposs has realised several projects with WiMAX, WLAN, and proprietary radio systems. Also trainings, feasibility studies, and own products have been developed for P2MP networks. If P2P links have to be fast, high-available, and providing minimal latency over long distances microwave links in a frequency range between 6 and 20 GHz are the technology to choose. 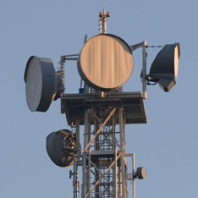 Microwave links are using licensed spectrum which can be acquired on a link-base from national regulatory offices. Many different systems and interfaces are available like Ethernet, E1, E3, STM-1 and similar. Also proprietary solutions offer interesting approaches and products. Often links are build up in chains or rings, meaning combining two or more microwave links to one logical link. Doing so distances of some hundred kilometers can be overcome.